Busy month & Challenge Accepted!! May is going to be a busy month, well mostly at the beginning, but in a good way. 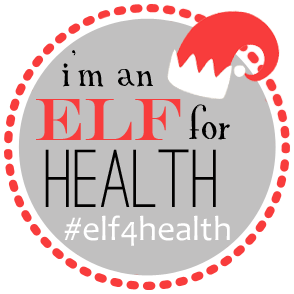 Today starts a #RunFree4me Challenge over at Cori’s Olive to Run blog. She is always so clever coming up with different challenges/contests. Basically, the challenge is to run watch/GPS-free(or any type of tracking device free) for as many times in the month of May and to run just for YOU. I can commit to at least once a week running with out my Garmin. I may have separation anxiety the first time, but I know I will survive. 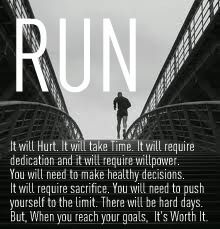 If you are not a runner then this is the perfect challenge for you to get out the door and just go. 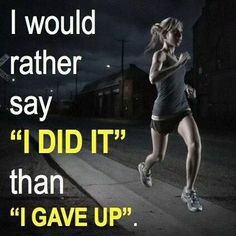 If you say, I can’t or it seems too hard, those are just excuses as to why you haven’t started. Click on the picture above for challenge details! Tomorrow there is a fun Pin-it Party that is to be hosted by Lindsay @ The Lean Green Bean’s blog. Who doesn’t like a party? If you are a blogger this is a great way to find other bloggers that share similar interests. Even non-bloggers can enjoy this party to find new blogs to read and maybe even be inspired to start your own. I will definitely join this party! See you on Pinterest tomorrow! Please go to Lindsay’s blog she does many featured posts on a weekly basis. I look forward to her posts every day and learn something new as well. 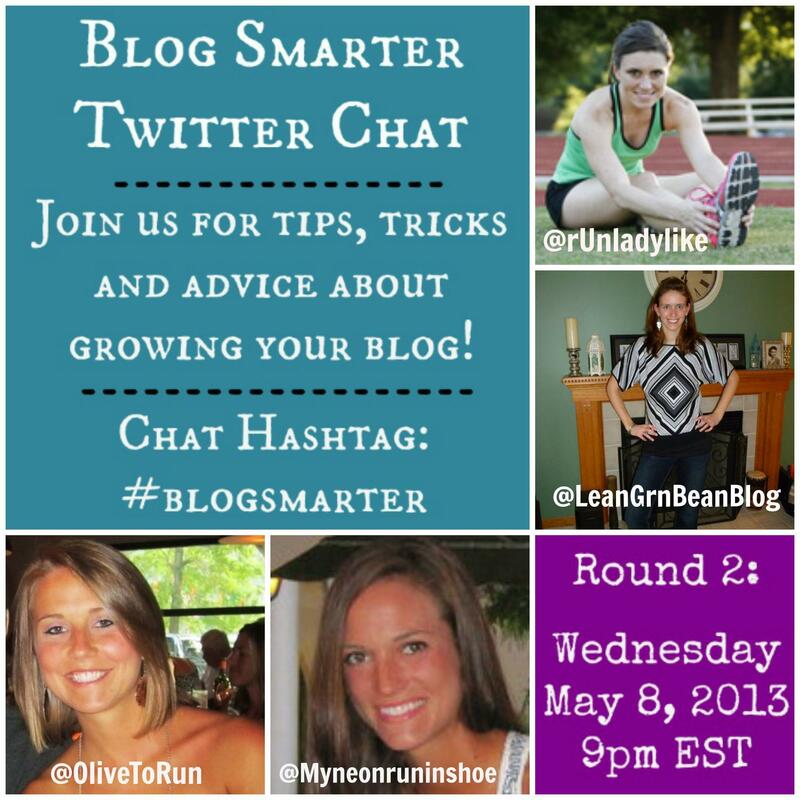 Next week is the 2nd #blogsmarter TwitterChat one week from today (wed, May 8, 2013). There are 4 bloggers (OliveToRun, My Neon Running Shoes, The Lean Green Bean, rUnladylike) that are hosting this event on Twitter. 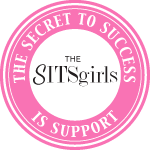 The event is a forum for bloggers (newbies, veterans and everyone in between) to get tips and advice on how to grow your own blog. This coming Sunday I will be running my 6th half-marathon. As with any race, as the day gets closer I become more and more anxious. In previous races, my only goal was to just finish the race, but this race is different because I actually want to beat my PR which is 2:15 (10:18 min/mil), run the whole race strong and to cross the finish line wanting more…. I am very excited because on Monday I will be writing my very first race recap post. I love reading everyone else’s race recaps and always wanted to do one of my own. Any new goals you are setting for yourself? 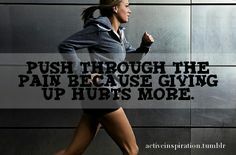 In running, life, food, etc…..
4 Responses to Busy month & Challenge Accepted!! Good luck this weekend when you run your half, and I can’t wait to read your recap! My next race is a local Melanoma TKO 5K.